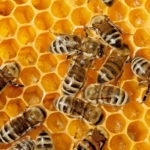 There are two types of beekeepers (and everyone else in between): those that keep bees for their honey, and those that keep bees in a holistic way with an appreciation of the natural world, the environment, and the vitally important role that bees play in pollination and maintaining genetic diversity. Natural Beekeeping is the philosophy which includes the latter. This course is similar to the Art & Science of Beekeeping, except that the emphasis is entirely on Natural Beekeeping as it applies to Warre and Top Bar Hives. Saturday afternoon we will go up to the workshop and begin construction of your Warre or Top Bar hives. Course attendees have the option of purchasing the materials to construct the hives and then taking them home with them at the end of the course. We won’t have enough time in the course to finish the hives. On Sunday afternoon, we will go up to the apiary and examine the bees, in situ, in several Warre and Top Bar hives. If attendees have pre-booked a colony of bees, they can take them home with them at the end of the course. Course instructors Michael and Warren have combined beekeeping experience of more than 25 years. Warren is an expert on Natural Beekeeping using Warre Hives. Michael is a professional beekeeper and business owner of Win’s Creek Meadery and Bindaree Bee Supplies. As yet to be confirmed, one or more additional instructors will be making presentations for the course. Morning tea and Lunch are included at Win’s Creek Meadery. Please advise us of any dietary requirements.